Prince Eugene of Savoy's 18th-century summer palace is a masterpiece of Baroque architecture, surrounded by formal gardens. Now the Belvedere Gallery, it is crammed with art treasures dating from the Middle Ages to the present day. The Belvedere ("beautiful view" in Italian) is an 18th-century palace with an impressive collection of Austrian art. The permanent collection covers various periods, from the Middle Ages to the present, and includes Impressionist, Baroque, Renaissance and contemporary works. The palace, the former summer residence of Prince Eugene of Savoy, is surrounded by a spectacular garden that is part of the attraction of the place. The Upper Belvedere contains the 19th and 20th centuries collections, and the Lower Belvedere, originally intended to be the Prince’s personal quarter, is now the site of the Medieval and Baroque collections. 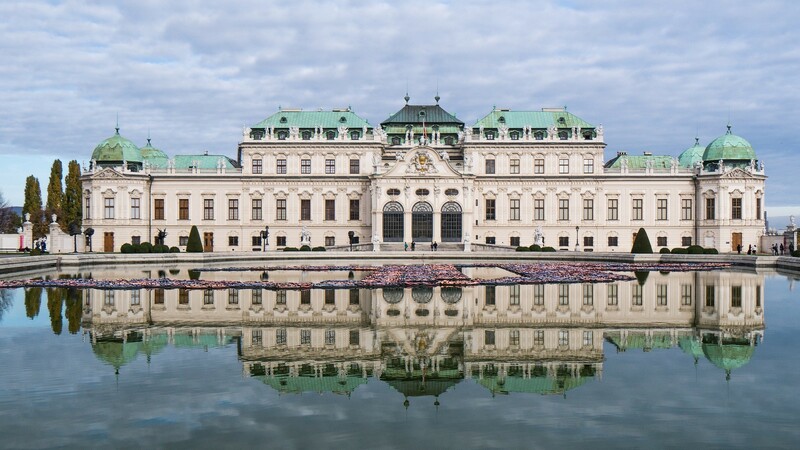 The Belvedere’s permanent collection has true artistic gems among which are the works of the fin-de-siècle and modernism signed by Gustav Klimt, Max Oppenheimer, Egon Schiele and Oskar Kokoschka. The space devoted to the works of Klimt is peerless: it provides an overview of the artist’s paintings, from his Impressionist period until his late works, including the "Golden Portraits" and representative works of Secessionist art. The gallery also has international works, including paintings by Monet and Renoir, the greatest examples of the French Impressionists. Temporary exhibitions, lecture series, concerts and other cultural events are programmed regularly. Book your tickets now on Divento.com! The Kiss. It is, without a doubt, the star of the Belvedere and one of the most reproduced and recognizable images in the world of art. It is worth paying a visit to the gallery, even if it’s only to stand in awe of Klimt’s most moving piece. Best Klimt collection in the world. There's so much more than just 'the Kiss' -and more than just Klimt. Both the upper and lower Belvedere have works worth seeing. Beautiful gardens too! If you have the time, make sure you get the ticket tat includes all Belvedere venues.